To withdraw your free, refunded bet you need to wager it three times over. This means that if you go for the maximum bonus of £20, you need to wager at least £60 before you can withdraw it. All bets count towards the total once they have been settled, as long as they have odds of 2/5 (1.40) or higher. Combined live and pre-match bets do not contribute towards your wagering requirements, neither do ‘Supertoto’ or ‘Superscore’. 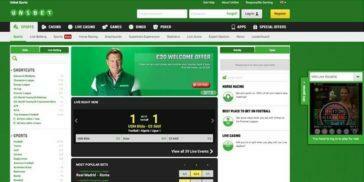 Unibet’s sport book does not offer many other promotions. At the time of this review, the only other offer we could find was their ’90+ Cashback’ promotion. This is where all losing correct score, half time/full time, first goalscorer and last goalscorer bets are refunded up to a maximum of £50 if the bet becomes unstuck by a goal scored after the 90th minute. This offer extended to all Premier League, Champions League and La Liga football matches. Unibet has always favoured simplicity in the way that it does things and presents itself, and that extends to the make up of their sports book site. 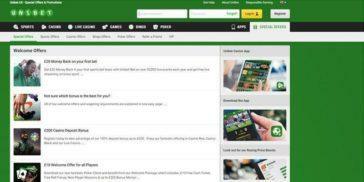 The company’s branding colour is green, and the site’s imagery is kept down to an effective minimum. It’s not quite as textual as Bet365, but it’s certainly not far behind. 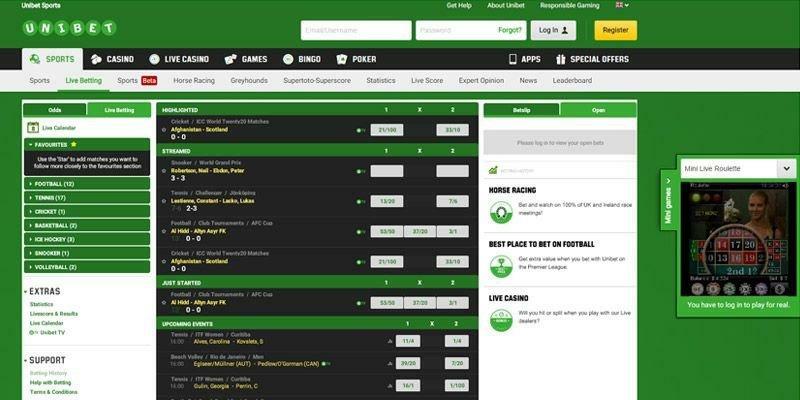 If you don’t like the set up of the Unibet sports books, then they give you another option – a much less stats-driven version that available via the top menu. 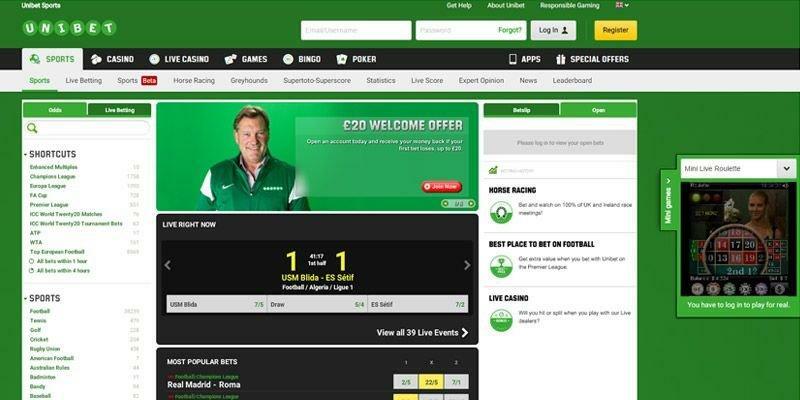 Unibet has remained successful and profitable throughout its history, and judging by its sports-book, it’s easy to see why. 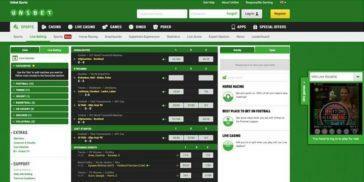 The site is very well-designed, and players unfamiliar with the sports betting process will swiftly feel comfortable. Our only complaint concerns the lack of promotions beyond your welcome offer at the site. It would be nice if a sports bettor’s continued patronage of the site garnered a few awards along the way.